Did you remember to brush your teeth today? You don’t want to get cavities – do you? Can you really get a cavity from not brushing? Are you cavity-free? Many children’s teeth start off great, but then start to deteriorate for failure to brush regularly. 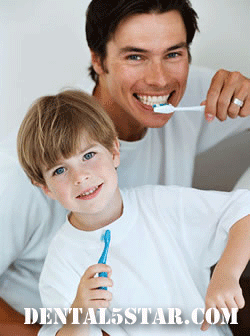 The oral hygiene habits that we form as children have a tendency of following us around as adults. Some children who needed braces when they were younger and never got them are choosing to have braces as adults. Most adults prefer to go to a cosmetic dentist and opt for clear braces. If you are considering the Invisalign system of invisible braces, call Prestige Dental to make a dental appointment as soon as possible. We specialize in several dental procedures including dental bridges, dental crowns, dental implants, dental inlay, dental onlay, dental veneers, lumineers, teeth whitening, tooth colored fillings, tooth extraction, same day dentures, root canal, TMJ treatment and much more! Call our dental office today and let Dr. Yelena Simkha and our dental professionals take good care of you and help you take good care of your own teeth as well. Men, women and children who would like to make a dental appointment with Dr. Simkha can do so by calling Prestige Dental today at (212) 683-4330. To get more dental tips and to find out how to keep your teeth looking great, be sure to check the Dental 5 Star blog regularly. If you would like to have that great smile that you’ve always dreamed of, call Dr. Simkha at Prestige Dental or visit us online at http://dental5star.com to find out more information about Invisalign, dental veneers and many other dental procedures that can help give you that winning smile!